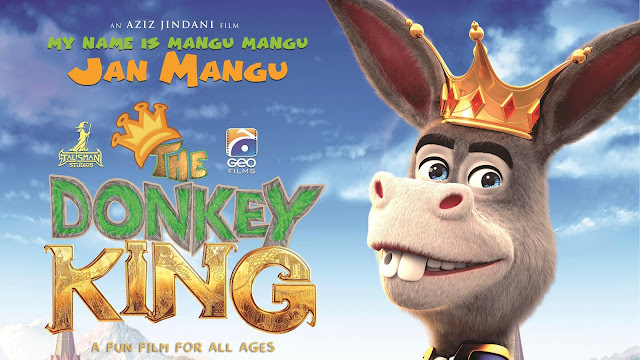 The trailer of the much-awaited animated film, Donkey King, has been released. Last month, Geo Films and Talisman Studios released the teaser for the Aziz Jindani directorial and we learnt that the film revolves around a donkey named Mangu Mangu Jan Mangu who is a dhobi. Today, the 2.18 minute-long trailer of the film was released and we are now eagerly waiting for the film. The trailer opens with the announcement for the appointment of a new ruler for Mangu’s homeland and shows a fox (voiced by Hina Dilpazeer) plotting to install Mangu on the throne so she can rule through him. Mangu (voiced by John Rambo) is, however, unsure as though he does not want to wash clothes for the rest of life he is afraid of the responsibility that will come with the post. However, he finally agrees. Following this, Mangu vows to be “the true king” and we are left wondering whether there will be a showdown between him and the fox. The tongue and cheek dialogues and interesting storyline have us eagerly waiting for the film.